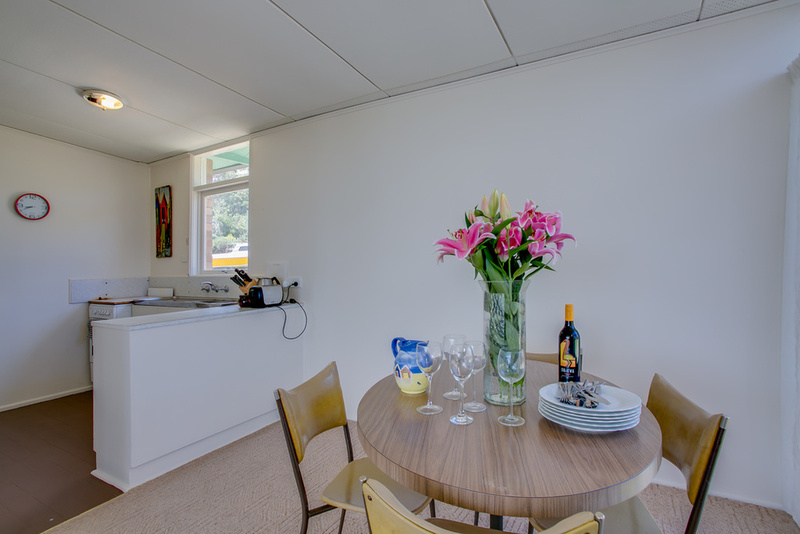 Affordable beach accommodation with bay views! If you are seeking views of the bay at an affordable price, look no further. With views of the bay from the lounge and two bedrooms, you will soon forget the hustle and bustle of the city as you kick back and relax at Fatty and Franki's. 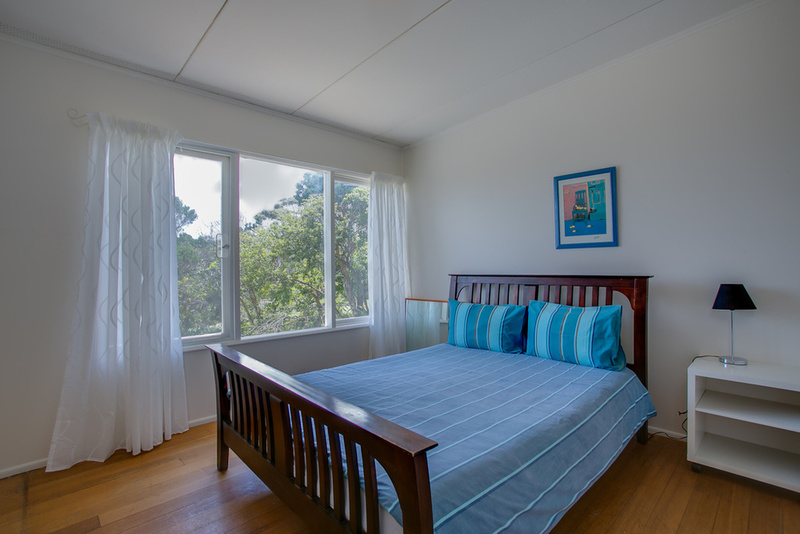 The property offers a superb location in Dromana, just 350m from the beach. Walk to the beach in less than 5 minutes. Or a picturesque 20 minute stroll will take you to the quaint Dromana shopping strip. *Open plan living with air-conditioned lounge with flatscreen TV and DVD player, dining area and fully equipped kitchen. 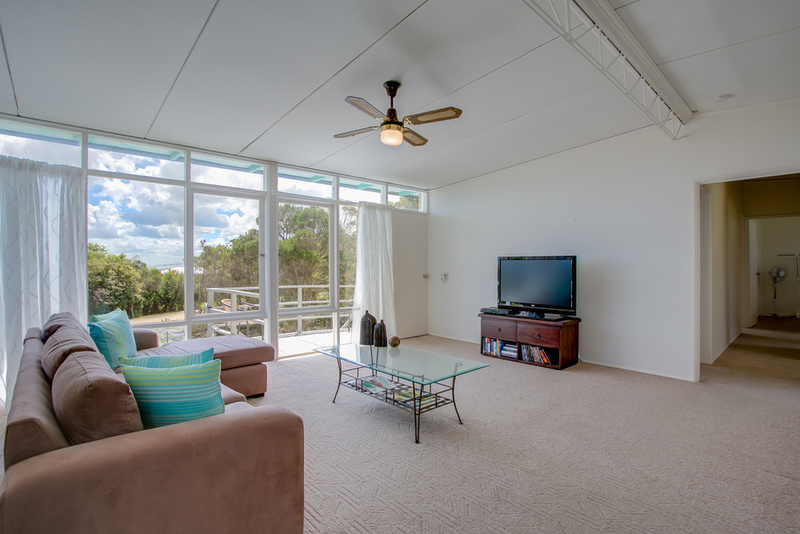 Enjoy the view of the bay from the lounge area or front deck. *Original bathroom with bath and shower. *Master bedroom with queen bed and bay views. 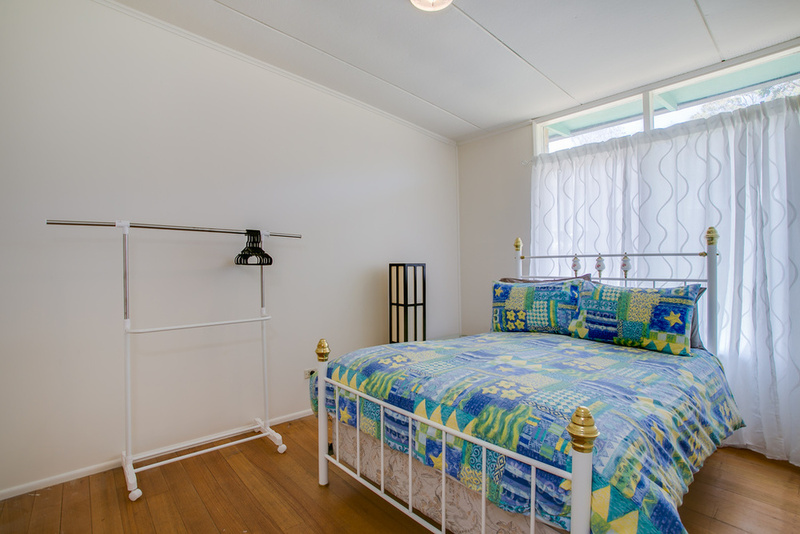 *Bedroom 2 with double bed, overlooking back yard. *Bedroom 3 with 2 sets of bunk beds, foosball soccer table, sleeping 4. Bay views. Out the back you will find a newly built BBQ deck with BBQ and outdoor setting, plenty of off-street parking and a HUGE block for the kids to play. Please note, the property is not fenced at the front and the backyard is not separate to the front yard. The house is situated in a quiet street. Well behaved dogs are welcome outdoors - at owner's own risk as the property is not fully fenced. Family bookings and adults aged 25+ years only. Strictly no parties or schoolies bookings permitted. (Jan 4 - Jan 31) 7 night min. stay. Tariff includes doonas and pillows. BYO sheets, pillowcases and towels. Linen hire is available for $50 per bed.